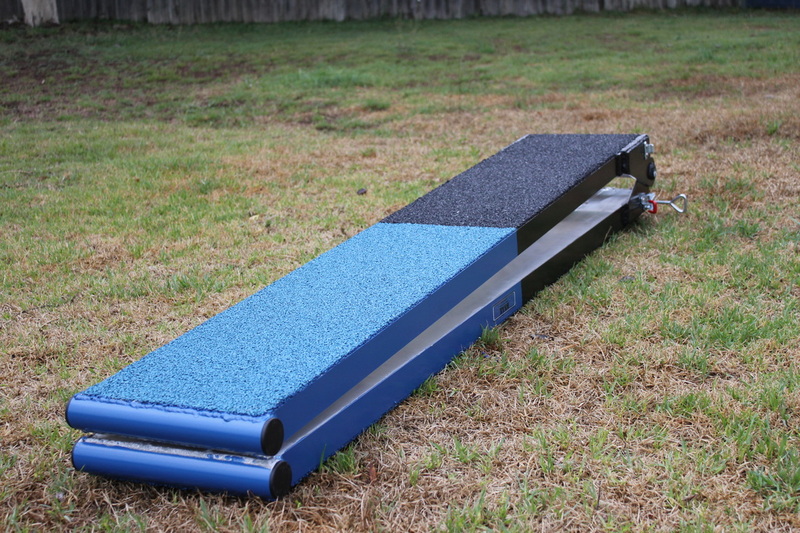 Our new Split SeeSaw started off as a custom made order and has received some great feedback so we have added it to our product list. 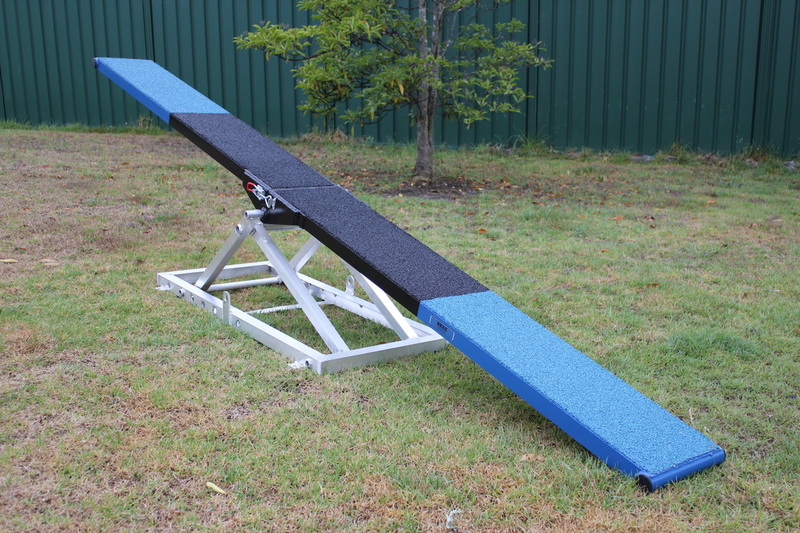 Offering the compact size of a mini seesaw the Split SeeSaw folds in half to allow for easy transport without needing a trailer. 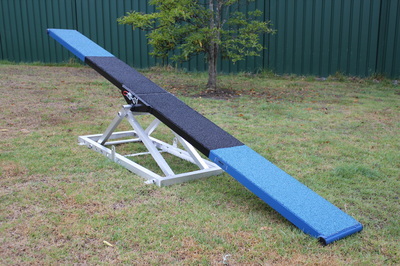 Once at your destination simply unfold and your competition length seesaw ready to go. Our stands are sold as a separate item so you can select the stand which best suits you. 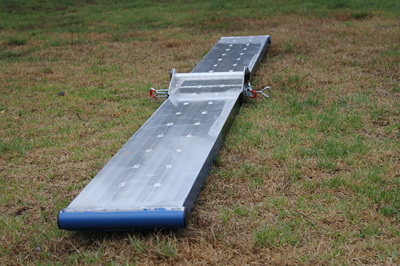 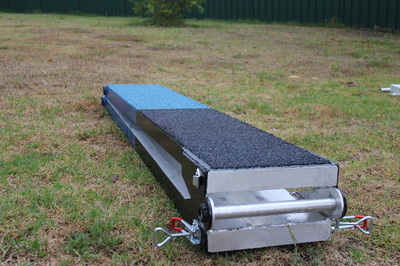 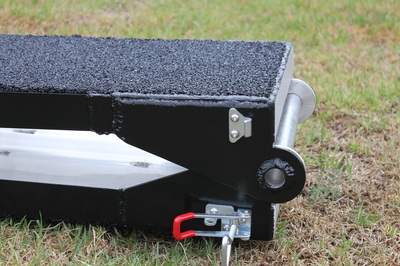 If you are handy and would like to make your own Seesaw Plank the pivot plate is the way to go. 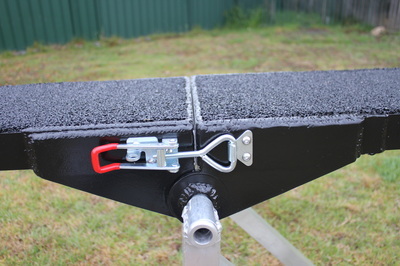 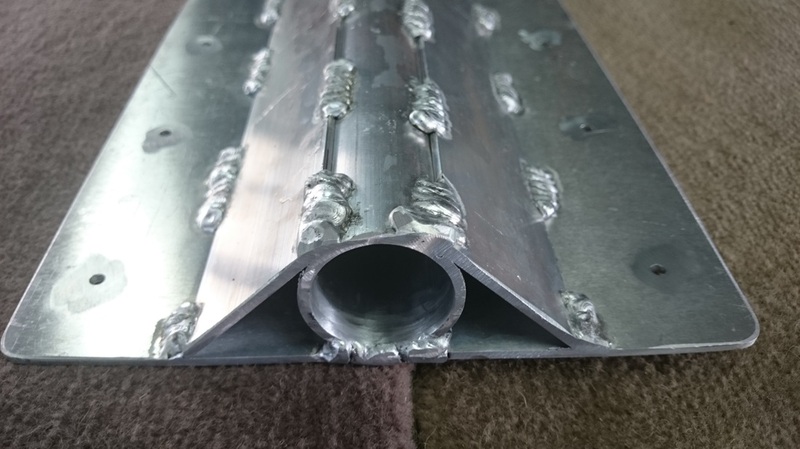 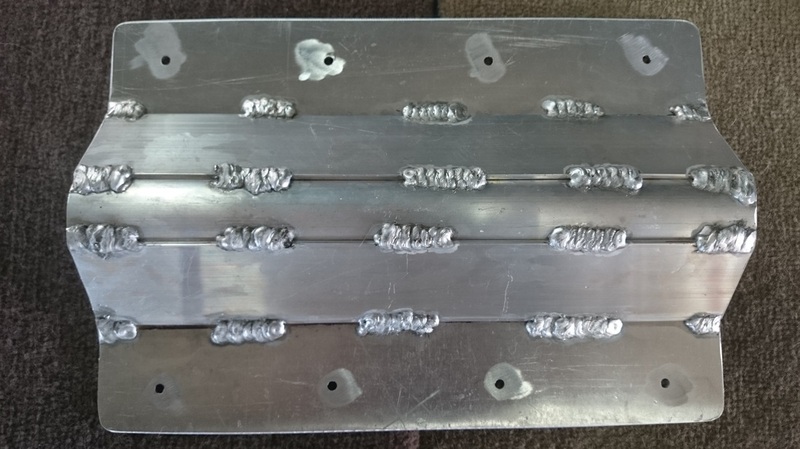 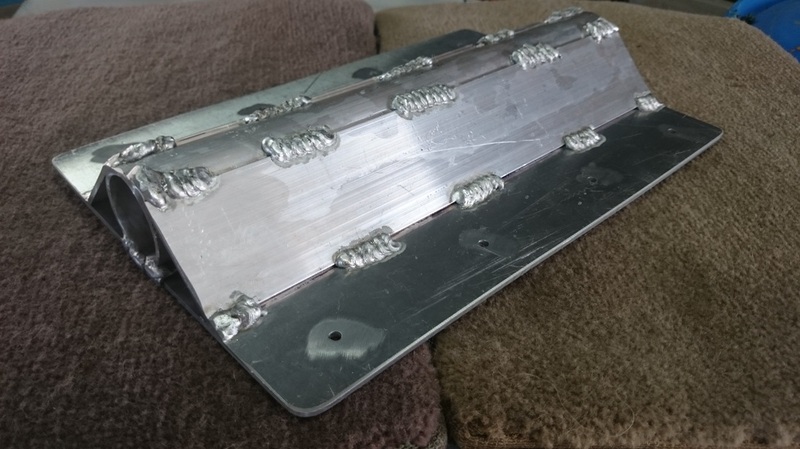 Made from 3mm aluminium this plate screws to the underside of your DIY Seesaw Plank and then easily allows you to attach your DIY Seesaw plank to any of our Seesaw stands. This stand is from our mini range and allows for the perfect training height. Standing 150mm to the pivot point this stand is will allow you to build your dogs confidence up to tackle competition heights. 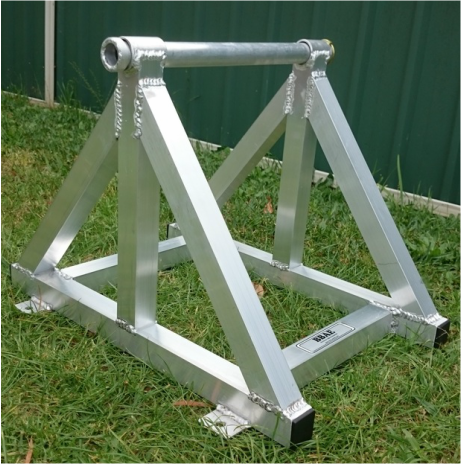 The lightweight stand is 300mm to the pivot point (ANKC) and comes complete with peg down points to hold the lightweight frame firmly to the ground. 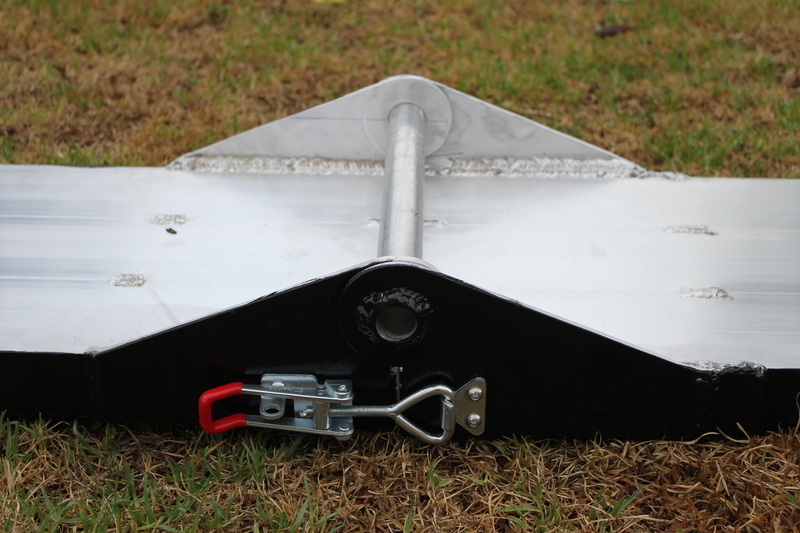 The lightweight stand is approximately 420mm the pivot point (ANKC) and comes complete with peg down points to hold the lightweight frame firmly to the ground. 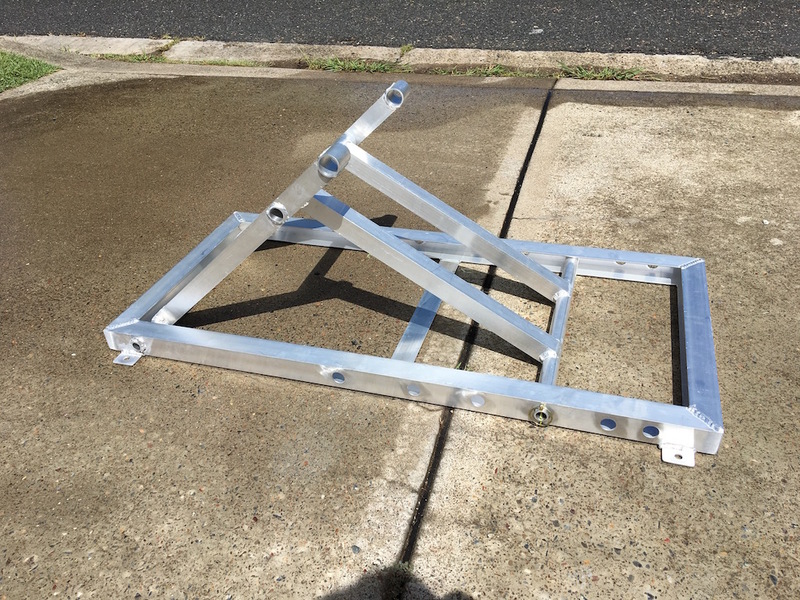 Because the new height requirement is measured from the seesaw plank and not the pivot point the height of this stand is approximate and my vary from seesaw to seesaw. 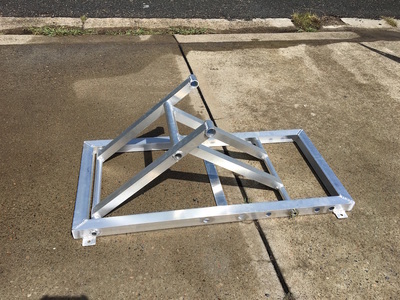 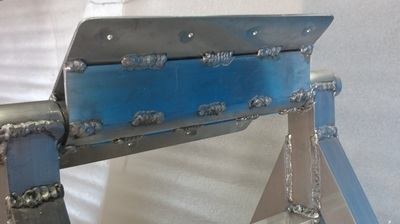 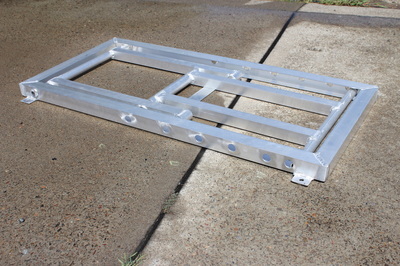 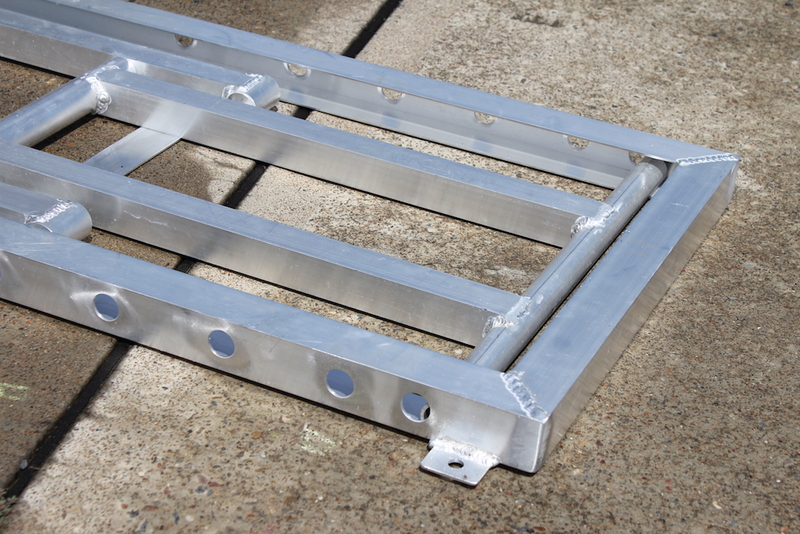 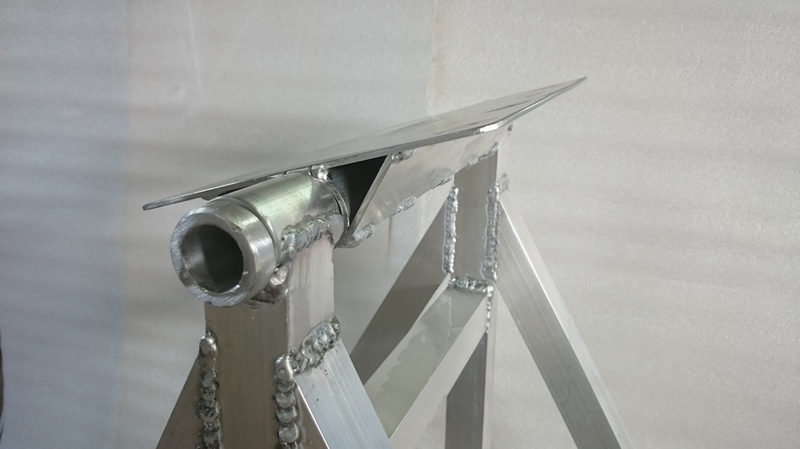 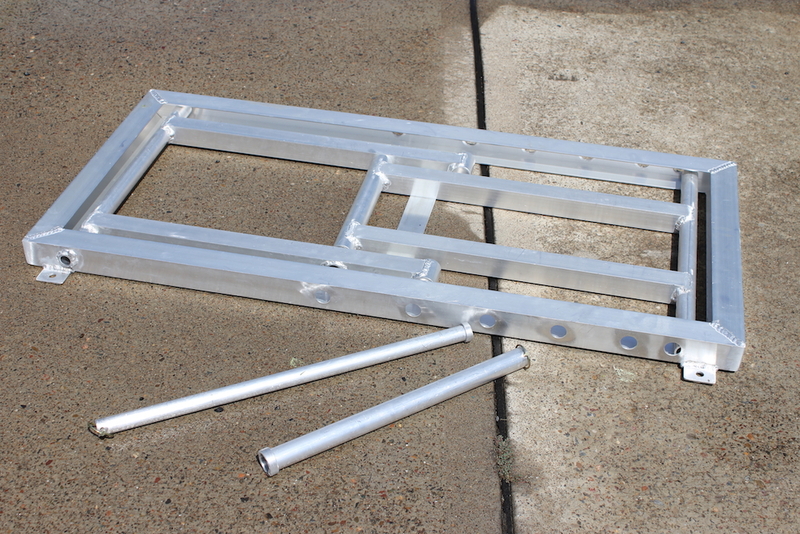 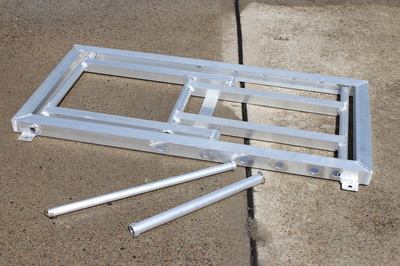 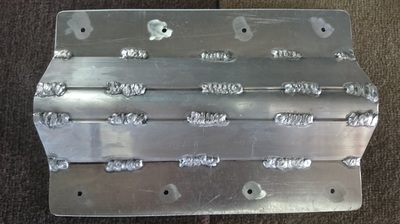 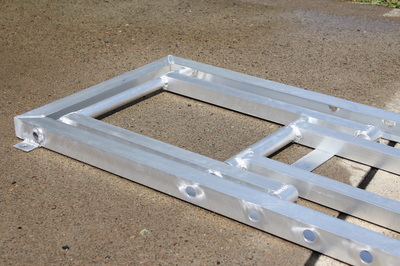 Lightweight aluminium SeeSaw stand. 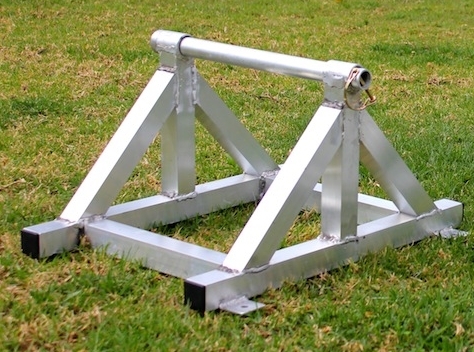 Made ADAA specifications for those who prefer a higher SeeSaw. 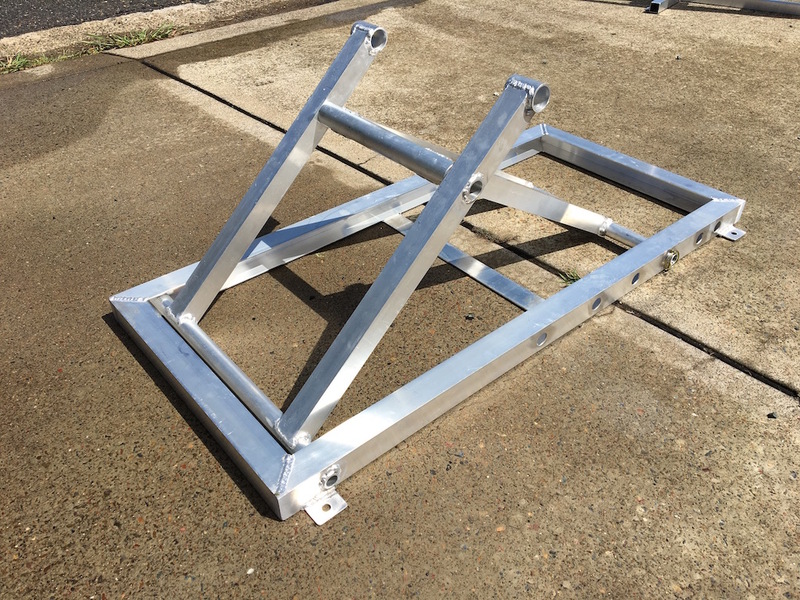 This SeeSaw Stand will fit straight onto our SeeSaw and provides a height of 600mm to the pivot point. 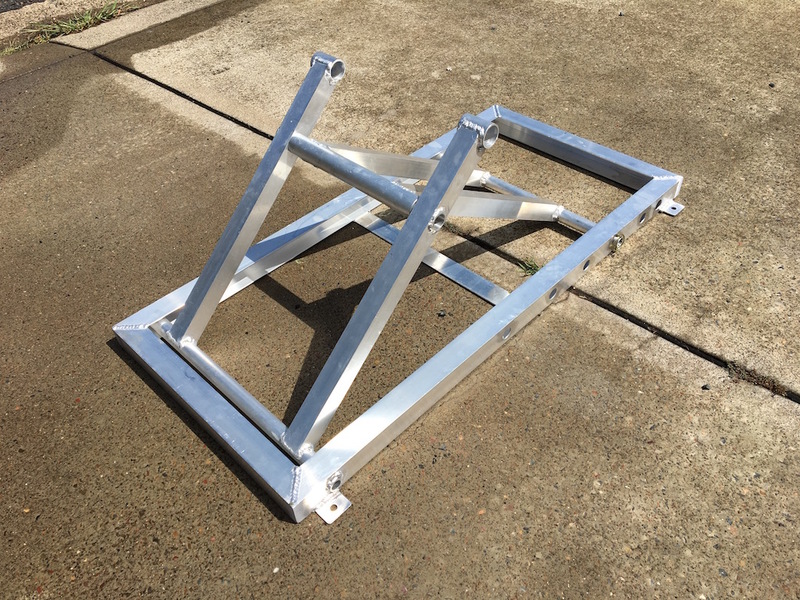 Our new adjustable height seesaw stand has the option of 7 different height options. Ranging from ANCK through to ADDA with a few adjustments in between this stand offers the best of both worlds with the ability to gradually work up from one height to the next. 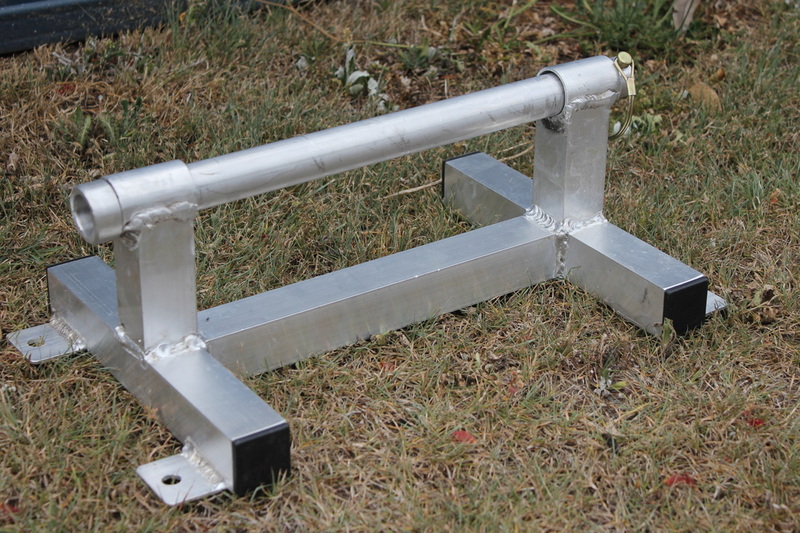 The stand also comes with a beginners height so you can easily introduce you dog to the obstacle for the first time.